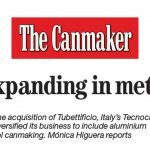 Michelangelo Morlicchio, owner, chairman and CEO of the company, said that Tecnocap, a privately held Italian producer of twist-off metal closures, is on a strong acquisition hunt in specific geographies, such as the US, Australia and South America. “The group is running its M&A research itself, but welcomes suggestions of targets from advisors or directly from interested companies”- he then added. Since 2005, Tecnocap has made 13 acquisitions, such as the May 2015 purchase of the metal closure business of Ardagh, the Irish packaging group. “Acquisitions always pay in terms of return on investment” – he argued. In the last four years, the company has seen a turnover jump to 140m euros last year, from the amount of 80m euros reached in 2012. Morlicchio stated that in 2016, its EBITDA margin stood at 13.5%. He projects it will reach more or less 190/200m euros in three to five years, with M&A as its contributing factor. “Tecnocap hopes to make at least one buy in the US to better penetrate the market. 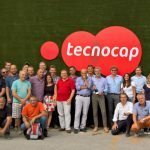 Since 2006, Tecnocap has been operating two plants in the states of Ohio and West Virginia” – Morlicchio explained – adding that there is still ample room for growth. “The only way to gain market share is to keep on operating locally, alongside competitors” – he said. Targets of interest would be producers of twist-off metal caps of various diameters with a turnover of up to 30m euros. 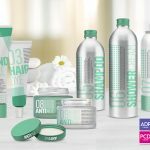 Producers of metal packaging could be attractive too, as the company is in the midst of diversifying after the February acquisition of the Italian producer of aerosol cans and aluminum tubes, Tubettificio Europeo di Lecco, for an undisclosed amount. Other regions of interest for market entry are Australia and South America. : acquiring there means completing Tecnocap’ internationalization, according to the owner of Tecnocap. In addition, next year management intends to start operations also in India. Furthermore, he added that future deals will be financed using a combination of cash and issuing bonds: the company issued a 5m euro bond in December 2015, in which Pioneer Investment fund invested. Morlicchio established the business in 1993. The company has seven manufacturing facilities across Europe and in the US and a workforce of 700 employees. It provides aluminum closures for large brands such as Nestlé, Barilla and Mars Food. 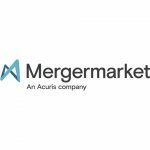 It is the third largest manufacturer of metal closures for food and beverages, after listed peers Silgan White Cap, held by the US-based Silgan Holdings[NASDAQ:SLGN], and Crown Holdings [NYSE:CCK]. In 2012, Tecnocap joined Elite, a three-phase program organized by the Italian Stock Exchange, to help SMEs prepare for listing. Management could consider listing the group on the Milan Stock Exchange, as well as other markets, and discussions with potential advisors will be held when Morlicchio deems it appropriate.